Many people fail to secure jobs not because they do not have the potential to perfectly do the job but because of the common CV mistakes, they make when writing it. Your CV is very crucial in creating a good impression to your recruiter when seeking for a job and securing your chances of being called for an interview. Therefore, it is important to avoid any resume mistake to create the best impression to your employer. It is advisable always to be brief and to the point when writing your CV. This will help you to avoid resume errors and before you start writing, make sure that you have a clear overview of what you are writing. Below are listed seven common CV mistakes and how to avoid them. The inclusion of irrelevant personal information. Before you send out your CV, be aware that the recruiter does not have all the time to read all the details you have provided. A lot of irrelevant information may divert the interest of the employer, and he or she may end up missing the valuable content that could have worked in your favor. It is good that you avoid some of the unnecessary information such as political preferences and religion or other irrelevant stories to the job you are applying. Just give your personal details briefly and precisely but make sure that you do not omit relevant information. Your education and working experience, as well as your professional skills, are three most important aspects to be included in a successful CV or resume. Honesty is a reflection of self-belief and high self-esteem. Most people tend to think that including more job titles, qualifications and experiences will thrill the recruiter to offer them a job. As a job applicant, you should be aware that human resources specialists and recruiters are well-educated people who will carefully lookout for that thing that seems out of place. Do not over-exaggerate your skills and experience. If they sense something manipulated, they might disqualify you from getting a chance to be interviewed. Always make sure that the details you give are the truth and define you without any exaggeration. If you have to include an introduction, it should be precise and to the point to sum up the essential qualifications that the employer is looking for in your CV. Avoid unnecessary quotes and phrases such as results-oriented or dynamic but instead, make a clear outline of your capabilities and qualifications for the job. To make a great CV, dont hesitate to use extra help. Its very useful and will bring you a lot of benefits. Visiting CustomWriting.com you can save your time and money by ordering a perfect CV with all your requirements. Ensure that your introduction is brief and tells as much as possible about you. In the current technology based generation, most CVs are judged on the screen. 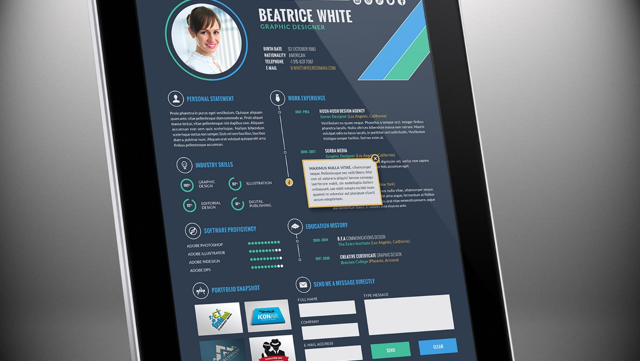 Most applicants make avoidable resume mistakes by fancy fonts, page layouts, and designs thinking that they will impress the employers. Some go to the extent of using colored backgrounds and an ornate borders design. Consider using screen friendly typefaces such as the times new Roman with a font size of 10-12 and make sure that you use the doc format when sending your CV as an attachment. Let your qualifications and experiences express your character and speak for themselves. Spelling mistakes and other grammatical errors might seem like minor issues, but they can prevent you from getting the job. Once you make a grammatical error, it might raise concern to your recruiter, and you will end up losing your chances. One silly spelling mistake can ruin a perfect CV. It is advisable that you spell-check and proofread your work thoroughly before sending it. You can spell check your work online using grammar checkers to make sure that it is 100% perfect. In preparation of your CV, make sure that you create an email that defines your personality. Research has shown that 5% of the job applicants have ridiculous email addresses that certainly disqualify their CVs. You will be amazed to get an email like sexybabyface12@gmail.com on an applicant’s CV. This example of email address occurs highly inappropriate. Create a professional email for your job hunting purposes to avoid misjudgment of your character. Writing your CV in a third person narration. CV is a communication between you and the potential employer and therefore, should be written in the first person narrative. Writing in a third person narrative breaks the communication medium and may express some arrogance. Writing in the first narrative ensures a real connection with the readers and illustrates a desirable attitude. In the case you are not sure of what to write, you can search online for good CV examples to get the best tips for writing a resume or consult a CV builder with a good reputation. When writing your CV, be aware that you are in competition with other on seekers and hence your resume must stand out. Job Quiz: Do you know what recruiters look for in a resume? How to make career in HR?